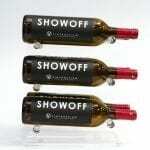 Wine deserves a pleasant place to rest that is not only stylish but protects the tasty juice from harsh environments. Some wine storage rooms are situated in subterranean areas that are naturally cool and damp. 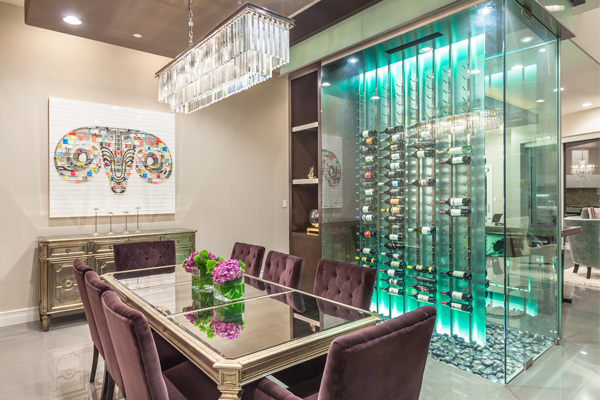 For the majority of potential storage locations that are not, wine cellar refrigeration allows us to store valuable collections in just about any room in a home or restaurant. Whether you are a DIYer embarking on a passion project or an architect spec’ing in a major restaurant cellar, here are seven things to consider when creating a climate-controlled environment. 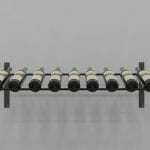 Wine cellar cooling units come as self-contained, ducted, ductless, and in split variations. The first is the most cost-effective and is like a window AC unit. Self-contained cooling systems can be installed by just about anyone. Ducted systems use ducting similar to your heating and AC systems, bringing in the cooled air from the unit located in a maintenance room or outside, and pulling warm air from the cellar. Ductless systems use the same premise but with refrigeration-style tubing. Lastly, split systems (which can be ducted or ductless), place the evaporator in the cellar and condenser outside. All ducted and ductless systems require a licensed HVAC installer. Air conditioning units blast cold air for short periods of time to get to a certain temperature — a temperature is generally at least 10 degrees warmer than an ideal wine cellar environment. 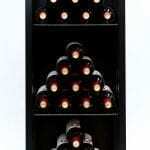 Wine cooling units run much more frequently keep the room at a much colder, constant temperature devoid of spikes. They also regulate humidity. There is certainly some room for personal preference based on region/storage goals. These are simply good targets. If you don’t insulate the walls properly (think R17+) and account for areas of heat transfer (cracks, doors, windows, glass), you will set up the cooling unit for premature failure. For displays heavy on glass walls and doors, expect to double the cooling capacity. Don’t forget a vapor barrier (and make sure the installer puts in on the outside or warm side of the wall; the opposite of normal construction). Closed cell poly foam is a suitable substitute for both the insulation and vapor barrier. Creating a climate-controlled environment comes with significant costs when compared to passive wine cellars. The obvious difference is the cooling unit itself, which can start around $2,000 for a self-contained machine and climb based on size of the unit. Beyond that, expect increased costs to properly insulate the space so the cooling unit doesn’t fail. Cost is all perspective though, as some cellars contain 10s of thousands (if not more) in bottles alone. Wine cooling units can only do so much. Putting a display removed from direct sun light, hot exterior walls, and other heat sources will limit the amount of effort the cooling unit is required. A good red wine is often best enjoyed in the low 60-degree range. White wine is fabulous in the low 50s. Bubbles should be served at around 48 degrees. There are many self-contained storage fridges that can help with serving temperature. Long term storage puts red wine a little colder and whites a little warmer than ideal serving temps. While 55 degrees is recommended, just remember that the colder a wine is stored the slower it will age. Building a Residential or Commercial Cellar? 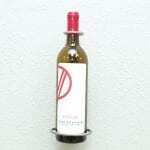 Need help with wine cellar cooling or some inspiration? Request a catalog and we’ll help you through the entire process. 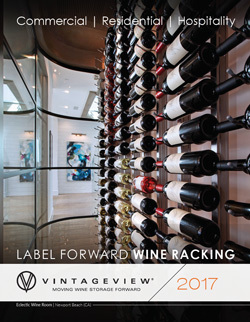 Earn an AIA/ASID/IDCEC CEU while taking our accredited Modern Wine Cellar Design course (online and in-person). We’d love to help. Please email jacob AT vintageview DOT com and we’ll get you going!